Unfortunately, it has become necessary to suspend our meetings for the foreseeable future. We hope to restart at some point, possibly at a different venue on the Jurassic Coast. 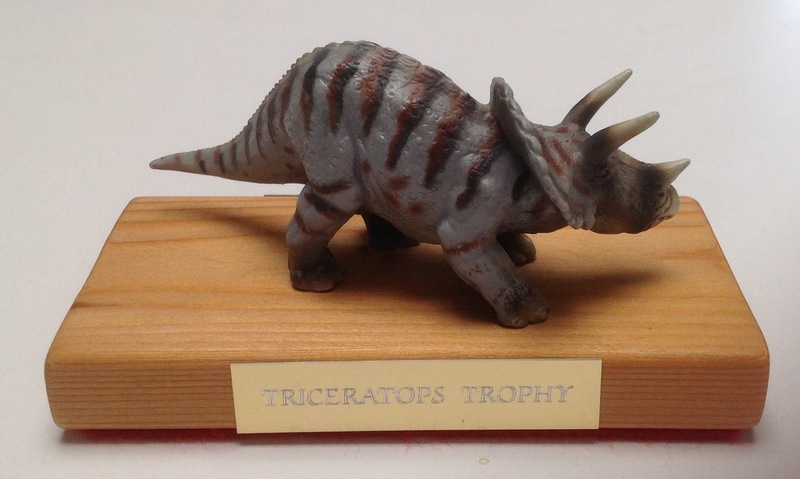 In which case, the Triceratops trophy will be again awarded to the monthly winner. At the moment, Karen holds it for her June story. congratulations to her. N. B. Our website manager apologises for the incorrect formatting of the work on here but she needs to learn HTML in order to get it right! It is automatically formatted by the site at the moment. We take it in turns to read our work, making a few constructive comments of compliment or helpful suggestions. We have a refreshment break when we can discuss the writing constructively. This is writing mostly for fun and we try not to be too serious about it, yet encourage each other to improve. A few of us have published work or are hoping to and some have won competitions but these meetings are for pleasure and encouragement, not serious critical reviewing. 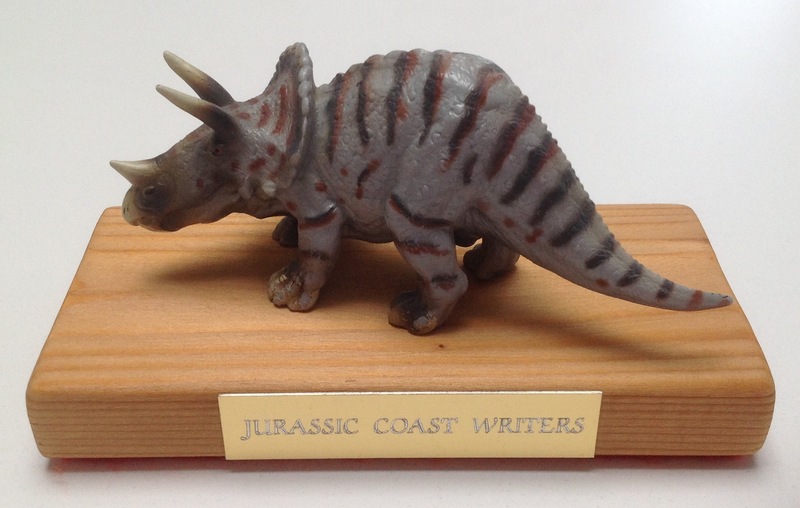 Member, Don made us the Triceratops Trophy, which is awarded by our founder, Sallyann Sheridan to a piece of writing that was written for presentation at the meeting by one of the members. Even if a member is unable to attend the meeting, they can have their work sent to Sallyann for assessment. This is an extra incentive for us all to try a little harder and is part of the fun. It is passed to the winner at the next meeting and can sit proudly on a different mantlepiece each month. In the mind, as in the body, there is the necessity of getting rid of waste, and a man of literary habits writes for the fire as well as for the press.